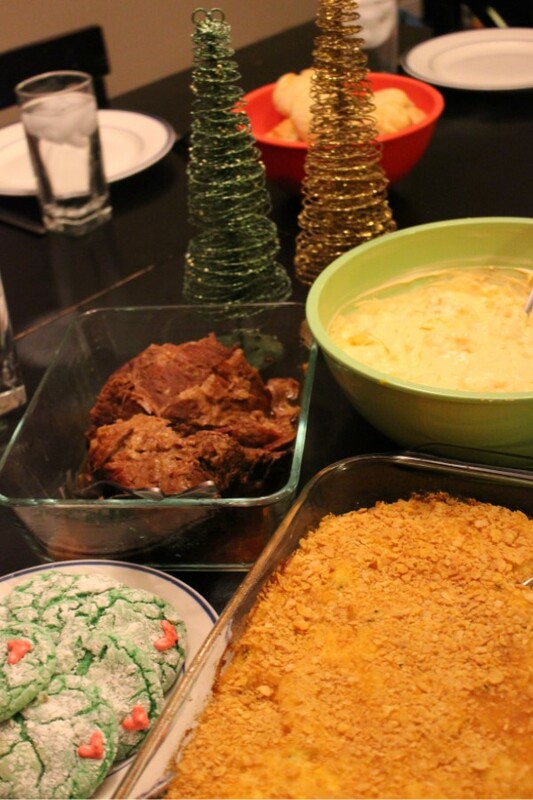 One of our favorite traditions is our annual "Grinch dinner" every year. 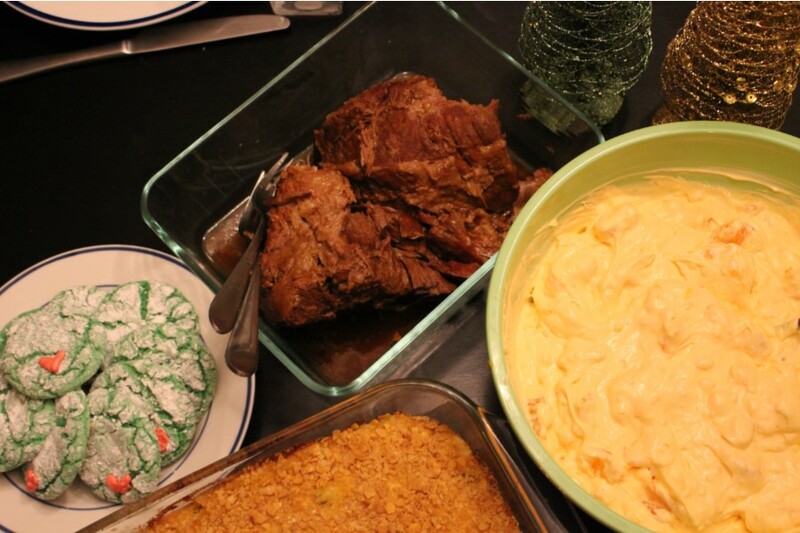 We eat a feast of "rare roast beast" (beef roast), "who hash" (cheesy sour cream potatoes), "who pudding" (orange fluff jello salad) and Grinch cookies and then watch the Grinch together. 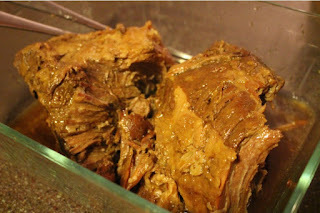 This year I just did a traditional beef roast in the crock pot and added au ju to keep it simple. Sometimes I add ranch dressing mix too. Heat butter, cream of chicken soup, sour cream and cheese. Add chopped green onion. 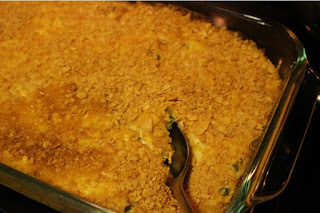 Add to frozen hash browns. Put into greased 13 x 9 pan. 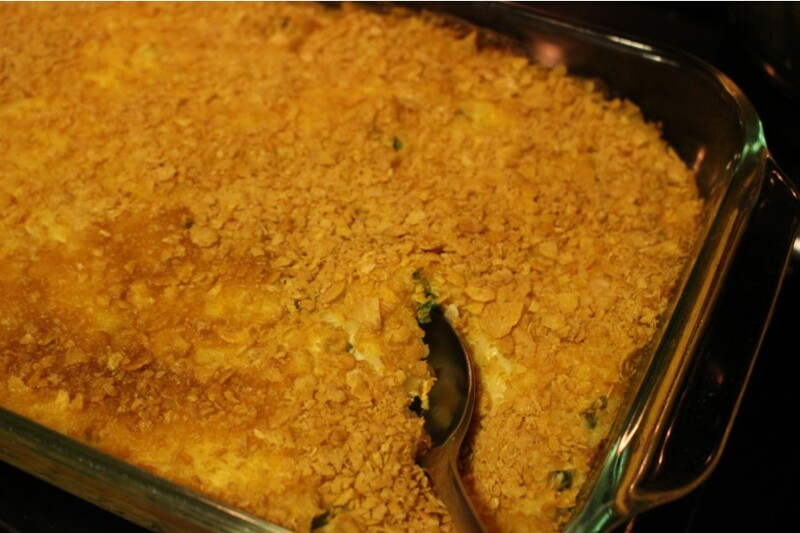 In separate bowl, mix crushed corn flakes and melted butter. Sprinkle over top of potato mixture. Refrigerate overnight to let onion flavor blend in. Bake at 350º for 45 minutes. 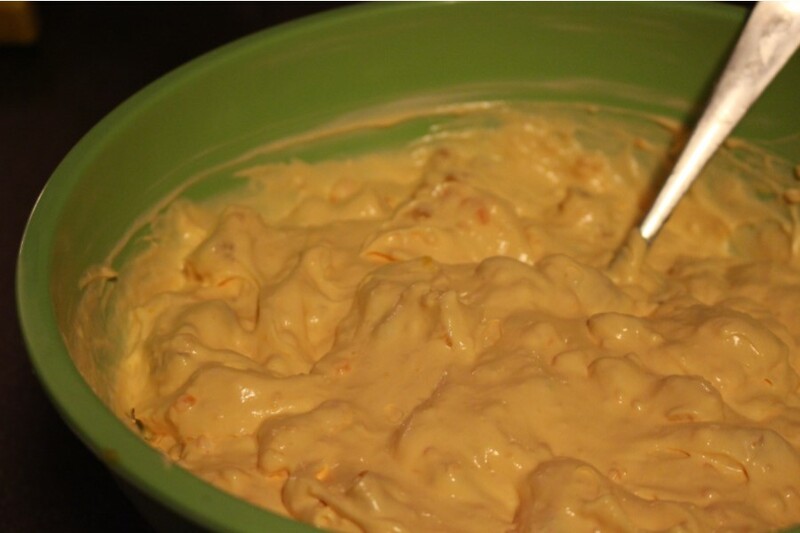 Mix orange jello, vanilla pudding and water together in a saucepan. Bring to boil. Let full boil one minute while stirring constantly. Chill for at least 6 hours (or put in freezer and check every 30 minutes). 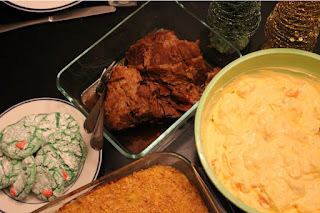 Mix well with cool whip. Stir in drained mandarin oranges and serve chilled. 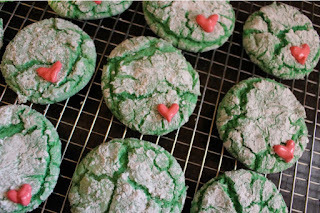 I got the recipe for these easy cake mix Grinch crinkle cookies here. We just added some rolls and a vegetable and we had a Grinch feast!